The health benefits of lemon water became apparent to us recently when I got a cold. In my desperation, I turned to our old backyard lemon tree. I squeezed the juice and pulp of two brightly colored lemons into a cup, and filled the rest of the cup with water. I drank the bitter watery pulp without sugar. I noticed that three hours later, I felt quite a bit better. I took more lemons off of the tree and did the exact same process. The next day, my cold was gone. A month later, I repeated the process with my daughter when she got sick. She had no problems drinking it, and the next day, she was up and running around. There's got to be more to this, because normally our colds last between five and seven days. Our colds only lasted about a day and a half and vanished! I also noticed that while drinking the lemon water, I could barely even tell that I had a cold. So not only did it get rid of the cold, it lessened the severity of the cold. Here's another thing I realized about lemons. Every year right around Christmas, the stress makes me get cold sores. When I started drinking lemon water, I did not get the stress-related cold sores. So it's true that lemons are an anti-viral. On our super foods page, I state that every single food that comes from the earth is a super food. The longer I study natural foods, the more I realize how true this is. I'm never done discovering the amazing properties that natural foods have and how they interact with our bodies, and lemons are no exception. And for this reason, lemons have earned my respect. This page is dedicated to the simple common lemon that we all take for granted. We're going to look at lemons through a difference lens to deepen your appreciation of this magical fruit. Plain lemon water tastes bitter. After a few days, you will get used to drinking it plain. If you drink lemon water with sugar, it's going to raise your blood sugar and is not recommended. For our hair loss visitors, we recommend lemon water because it will not raise your blood sugar. One of the best benefits of lemon water is that it helps to control blood glucose, and this will benefit your hair regrowth process. Lemon water also aids in weight loss and healthy eating. Note: The Healthy Diet Paradise is a no sugar website. Some individuals may think about substituting xylitol to make lemonade. Xylitol should never be used for sweetening lemon water to make lemonade. Click here for our page on the safety and use of xylitol. If you notice that your skin is breaking out or blotchy, use lemon water to quickly clear it up. When you're making lemon water for your skin, make sure you're using a spoon to press the pulp into your container. 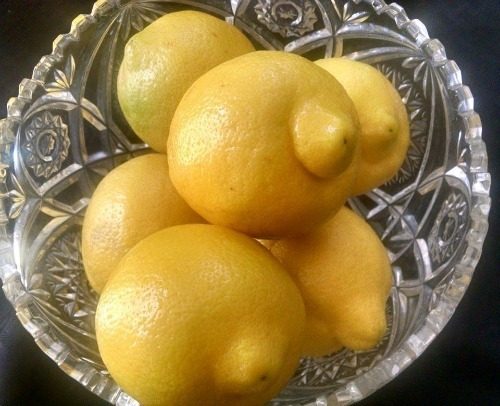 Lemon water has a clarifying effect on the skin after a few days. When you're drinking lemon water consistently, people will begin to comment on the tone and texture of your skin. Any acne will gradually clear up. We've dedicated a whole page to acne. Click here to learn how to use natural food to stop acne. One of the most surprising benefits of lemon water is scalp and hair health. Lemon water can be used to control bacteria on the scalp and to wash the hair. Bottled processed lemon juice will not work because it does not have the same properties as natural lemons. 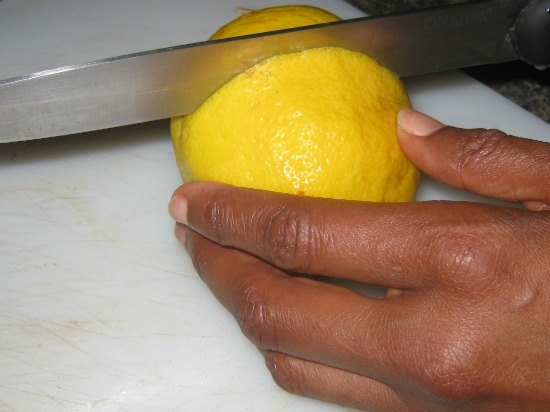 It has to be from a naturally cut lemon with the pulp still intact. Directions: Squeeze the juice from a large lemon and put it into a small plastic spray bottle. You can dilute it with water if you wish, but I use mine full strength. Lemon juice stops itching, burning and pain associated with dandruff. 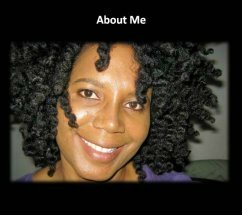 Our video below lists the safest, most natural ingredients for your hair. 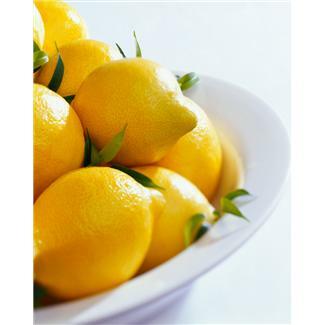 It also describes in detail the benefits and use of pure lemon juice on your scalp. Make sure you thoroughly massage the lemon juice into your hair and scalp. Leave the lemon juice on your scalp for up to a half an hour. It will stop the burning on your scalp. People who co-wash their hair with cream shampoos may notice itching and burning of the scalp. Lemon juice or lemon water will completely stop this problem. Washing your scalp with lemon water will allow you to continue to enjoy the benefits of co-washing. And lemon water smells great. If you look at shampoos on the market, they always tout citrus as part of their arsenal of ingredients. Why not use lemons in their natural form? It's 100 percent better because it's pure. For our hair loss diet visitors, we recommend lemon water as a beverage. It will not raise your blood sugar when it's not consumed with sugar. Juice from lemons is the only fruit juice that you can consume without raising your blood sugar. The GI rating for lemon juice is only 20. Very few fruits can boast such a low GI. In studies, it's been shown that lemon rinds reduce blood sugar in diabetic animals, so it will have some benefits for your hair growth as well by keeping blood sugar levels even. When you're thinking of anti-cancer foods, most people think of broccoli, green tea, pomegranates or avocados. What's now known is that lemons also have cancer-fighting properties. Lemons have been proven to reverse neuroblastoma, which is a common childhood cancer. Lemon zest contains limonoids. Limonoids are a group of phenols that combat cancer, and kill viruses and bacteria. Limonene has been proven in studies to aid in chemotherapy treatments for colon cancer. Lemons have a superb cluster of phenols, bioflavonoids, essential oils and antioxidants that fight disease. 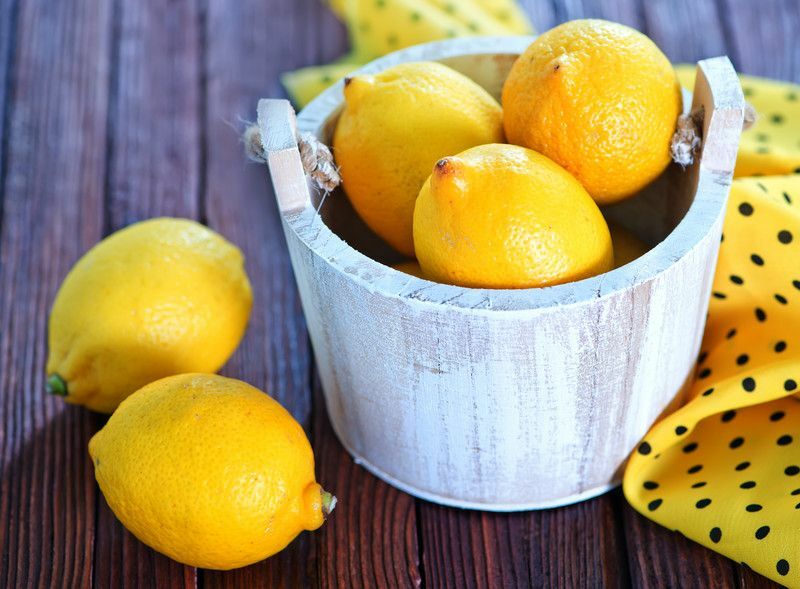 Dr. Michael T. Murray goes deeper into the the proven cancer fighting properties of lemons! Click here to read his eye opening article. Lemons have only 7 grams of carbohydrates per serving, and contain 2.4 grams of fiber, so they aid in digestion. The pulp and rind of lemons can be used to flavor cakes and cookies by adding tremendous flavor and boosting the texture. 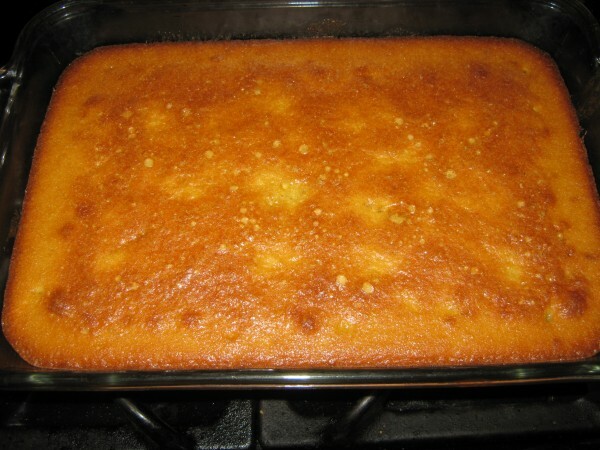 Click on the picture below for our lemon pound cake recipe. We used organic lemons from our lemon tree, and we were very excited at how delicious it was.